The 249th National Meeting of the American Chemical Society was beneficial from both the perspective of a student and as an accepted PhD student. As a student, I was able to listen to various talks on a wide variety of topics in chemistry. Some of these talks covered to topics of biofuels, gas hydrates, and drug discovery. I learned about current information and breakthroughs in chemistry and drug discovery by listening to these talks. Knowing this information is crucial in science and I am expected to understand what other chemists are doing. In the fall, I will be attending school to obtain my PhD in chemistry. This meeting was advantageous to attend since I was able to listen to the talk of a future professor and interact with professionals who have research interests that align with my own. Presenting my research at this meeting provided me with additional skills to use in the future. I was required to have extensive knowledge about my research and support my data and reactions to those who questioned it. 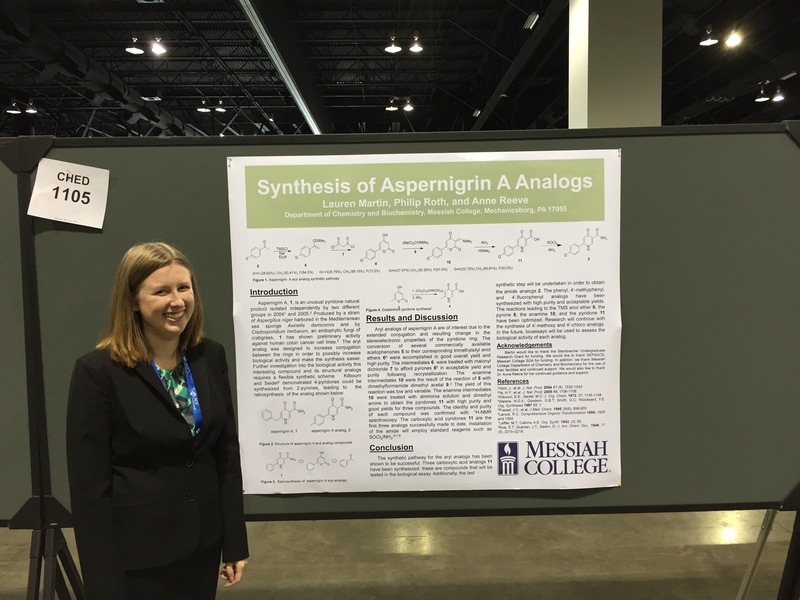 This experience was a highlight of my chemistry education, and it helped me grow as a future research chemist.